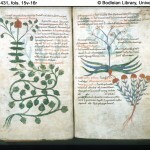 An associate English professor at North Carolina State University, Raleigh, Timothy Stinson, has begun DNA testing medieval manuscripts. Since parchment was made from animal skin, there is genetic material to be found in the pages of the books themselves. His goal is to create a large DNA database from manuscripts with a known provenance, and then use that database to pinpoint where unknown manuscripts may have come from. The genetic material might also link manuscripts which have been separated over time and distance. There may be all kinds of partial books amenable to reconciliation scattered through libraries and collections around the world. The database would be replete with information about quotidian aspects of medieval life, like herd movements and trade routes. 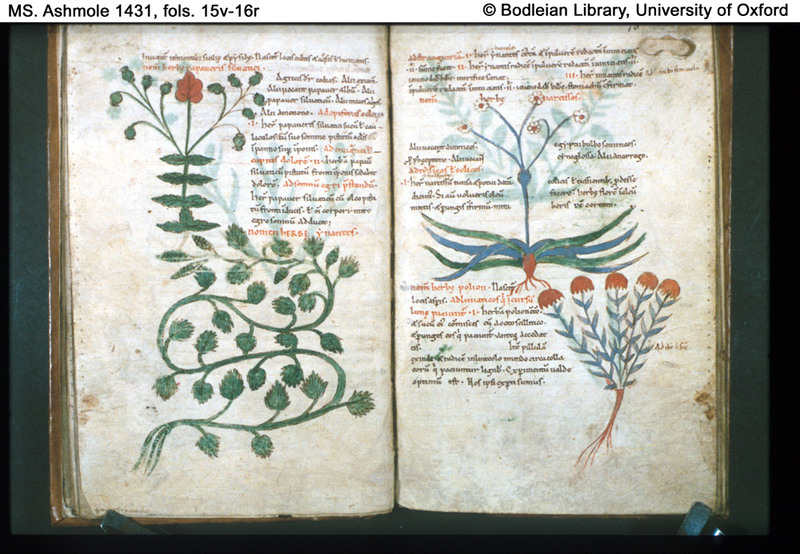 For a lovely browse of medieval manuscripts online, check out Oxford University’s Bodleian Library site. This entry was posted on Thursday, January 15th, 2009 at 5:55 PM	and is filed under Medieval, Multimedia. You can follow any responses to this entry through the RSS 2.0 feed. You can skip to the end and leave a response. Pinging is currently not allowed. What an idea! This is good news. And thanks for the link too. I love old MSS. Sorry I have little time to blog or read favorite blogs for 45 days. I’m being the live-in grandmother for my two little ones in Sydney, and it’s a big job. Oh, cool! I’m going to have to find some open digs for you to take your grandkids to. There’s no better grandparent-grandchild bonding than playing in the dirt. That’s a great idea. I’ll keep it in mind for ten years from now. Have fun with the Obama stuff. Thanks for all the interesting posts up to that.